Following the resolution of negotiations in Addis Ababa this September, the international community watches on as the Republic of Sudan and the Republic of South Sudan continue to grapple with critical outstanding issues. In the coming days, the U.N. Security Council will have the opportunity to vote on a set of recommendations from the African Union Peace and Security Council, or A.U. PSC, on ways to address these issues, such as the final status of the disputed Abyei area, unfettered international humanitarian access to the Sudanese states of Blue Nile and South Kordofan, the final definition of the North-South border, and the initiation of direct political negotiations between the government of Sudan and the Sudan People’s Liberation Movement-North, or SPLM-N. The A.U. PSC’s recommendations are a productive contribution to international efforts to resolve the remaining outstanding issues, and the U.N. Security Council should endorse them while adding to two key areas in which the A.U.’s recommendations are deficient. The Enough Project points out these shortcomings and makes recommendations for the U.N. Security Council’s engagement in a new policy brief released today. One, the A.U.’s recommendations do not identify any consequences, should any party choose not to comply with them. Two, the A.U.’s recommendations do not offer a constructive way forward on the issue of unrestricted international humanitarian access to the Sudanese states of South Kordofan and Blue Nile. The U.N. Security Council must rectify these issues through the adoption of a resolution, under Chapter VII of the U.N. Charter, which provides clear guidelines, particularly on the issue of humanitarian access, and consequences for those parties found not in compliance. If the U.N. Security Council neglects to do so, it will create new space in the region for spoilers who do not want peace. The government of Sudan’s recent public insistence that it will not accept the A.U. PSC’s recommendations on the final status of the Abyei area underscores what is at stake. On the issue of Abyei, in particular, the A.U. PSC requested that the governments of Sudan and South Sudan continue their negotiations on the basis of the mediating African Union High-Level Implementation Panel’s September 21 proposal concerning the Abyei area. Should the parties remain at an impasse over the modality to determine Abyei’s final status six weeks after the A.U. PSC’s adoption of its communiqué, or December 5, 2012, the A.U. PSC will endorse the AUHIP’s proposal as “final and binding” on the two parties. On October 31, Sudanese Vice President Al-Haj Adam Youssef announced the Republic of Sudan’s rejection of the A.U. PSC’s decision after a meeting his party, the National Congress Party, held on the issue of Abyei. Vice President Al-Haj stated, “If we do not reach an agreement [during the six weeks] we will not commit to that proposal which we already rejected.” He went on to reaffirm Sudan’s commitment to all other agreements it holds with the Republic of South Sudan. Foreign Minister Ali Karti has weighed in publicly on Sudan’s decision, stating that the A.U. 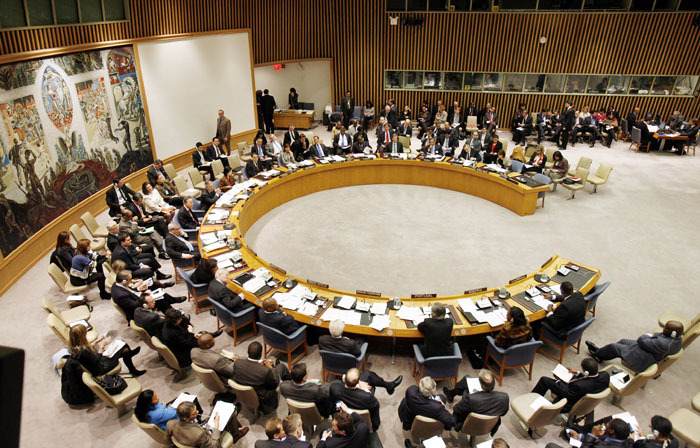 PSC is being manipulated by the United States and some European states to force the issue of Abyei to the U.N. Security Council. The decision of Sudan to reject the A.U. PSC’s support of the AUHIP’s proposal on Abyei could have great implications for the hopes of finding a lasting resolution to persistent problems between the two nations. On the same day that Sudan rejected the A.U.’s decision, Khartoum announced the creation of the High Follow-Up Committee for the Implementation of Cooperation Agreement between Sudan and South Sudan, a committee being chaired by President Omer al-Bashir himself. However, the international community must remember that Abyei’s past is marked with broken agreements and dissolved international pressure. As the search for common ground continues, it will be crucial for the international community to stay invested and persistent in its support of a long sought resolution to the dispute over Abyei’s final status, and the U.N. Security Council has a crucial role to play.